Cut the paneer into 1/2 inch of pieces. 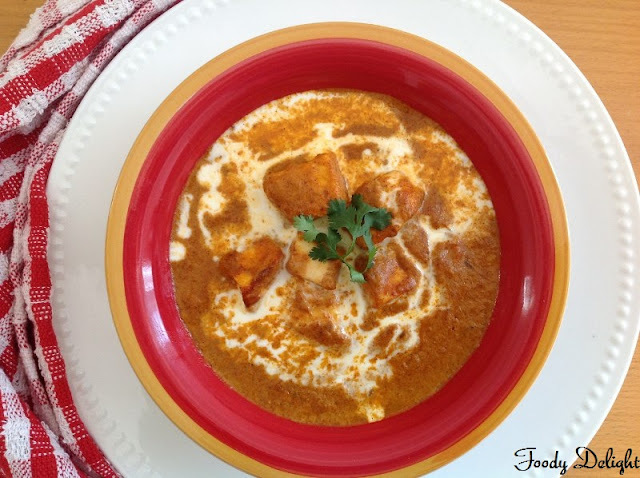 Combine all the ingredients mentioned for the marination of the paneer in one bowl. Add the paneer cubes into it and coat all the cubes with the masala. Refrigerate the paneer cubes and Marinate it for atleast 1 hour. For the best result marinate the paneer cubes for 24 hours. Place the marinated paneer cubes in the baking sheets,slightly spray the cubes with cooking spray or you can brush the cubes with the oil. Finally add heavy cream and paneer tikka and simmer the gravy for about 5 minutes. Turn off the flame and garnish with the chopped cilantro. 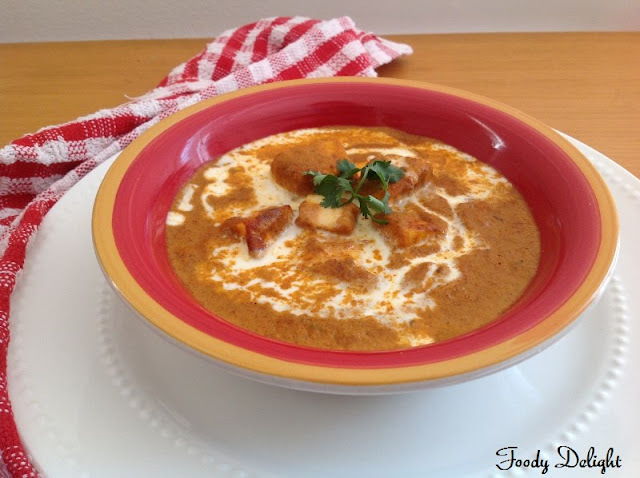 Paneer makhni is ready to serve with naan, garlic naan, parathas or flavoured rice. 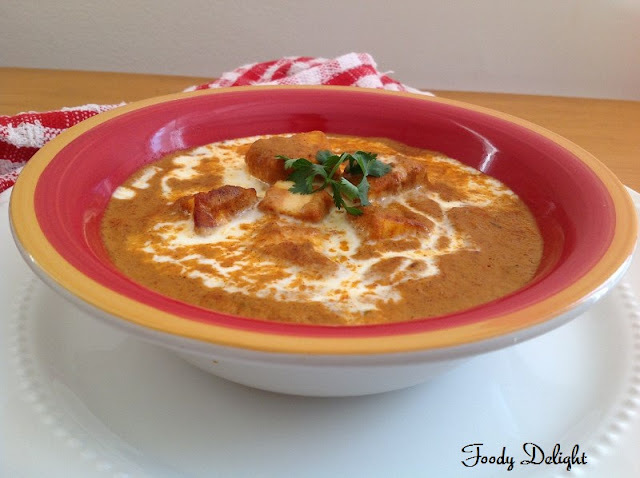 Droolworthy paneer makhani,wish to have with some rotis..